Steve Riley has recruited Orlando, Florida-based guitarist 6 vocalist Kurt Frohlich to front his version of L.A. Guns at next month's M3 Rock Festival. Frohlich's addition to the group was confirmed via a graphic posted on the Facebook page of Riley's L.A. Guns. In addition to Frohlich and Riley, the L.A. 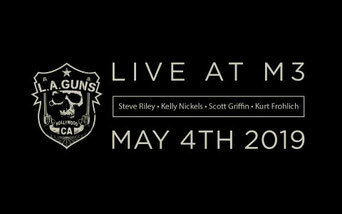 Guns lineup that will perform at M3 will include bassist Kelly Nickels and guitarist Scott Griffin(already bassis in L.A. Guns from 2007 until 2009, and from 2011 to 2014). 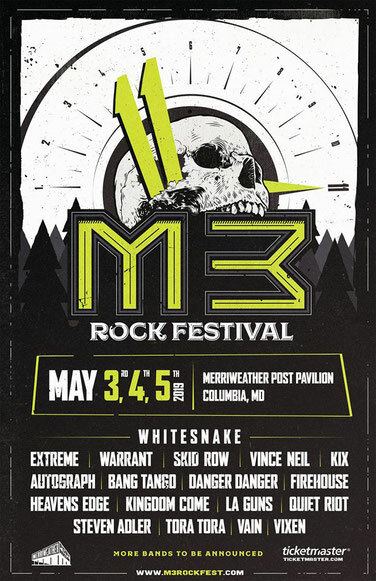 M3 Rock Festival starts with The Official M3 Kix-Off Party on Friday, May 3rd, featuring hometown heroes KIX along with special guest Heaven’s Edge. Warrant, Firehouse, Steven Adler of Guns N’ Roses, Danger Danger, Kingdom Come, Autograph, and Tora Tora, Skid Row, Quiet Riot, Vixen, Bang Tango, Vain, and many more.